Planning an event for adults can be much simpler than planning an event for children. As we get older, our gauge on what kids “like” tends to dwindle, leaving us at a loss when it comes time to plan an effective party. 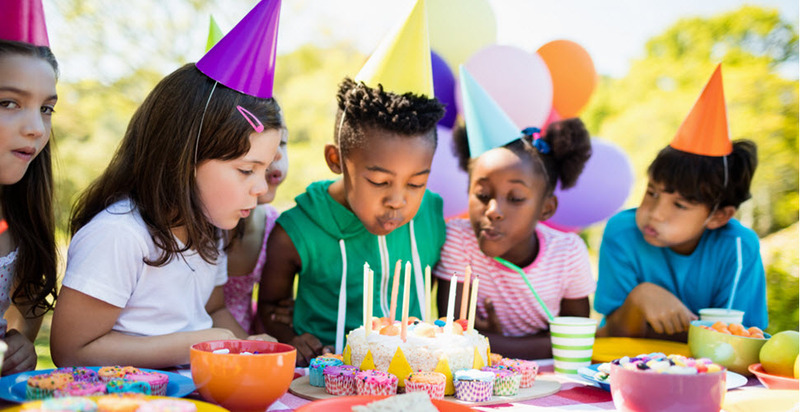 Birthday parties are a great opportunity to put some of your ideas to the test, but it helps to have some guidelines and tips on how to keep kids engaged throughout the evening. There are a lot of factors to consider when it comes to event planning, and when it comes to engaging children, it’s important to tailor every aspect to their liking—otherwise you might lose some of their attention. There are a lot of ways that you can make a birthday party especially fun for all kids, it just takes some careful thought and intentional planning. Here are some helpful tips on how to make your birthday party plans effective for engaging children. Using a theme for a party can actually relieve a lot of thought from the process of planning. Choosing a theme such as sports, carnival, or circus are great ways to streamline your planning and keep kids engaged throughout the event. You might be surprised to find that kids are especially captivated when birthday parties feel cohesive. It might even be fun to have them dress up to align with your theme! This is perhaps one of the most important aspects of birthday party planning for children. Keeping a set schedule of events or attractions is key so that you don’t lose their attention. Kids can become exhausted after a long day of playing, so timing the event well and activities close together is usually your best bet. And don’t forget the cake! Of course we want our birthday parties to be fun for our little ones, so thought must go into every aspect of a party. Food is a great opportunity for keeping kids engaged. Having fun food attractions like cotton candy machines and popcorn bars are a great way to keep kids entertained—and fed! Just as adults do, kids have a wide range of different interests, and it’s important to attempt to cater to as many as possible in your single event. Kids like to move from one thing to the next relatively quickly, and having multiple captivating or competitive games certainly helps. Depending on the theme of your party, you might consider having live entertainment for your kids. Magicians, jugglers, singers, acrobats, and cartoonists are all memorable ideas for entertainment that will keep kids talking about the event for years to come. It will also keep their attention for a period of time while other portions of the event are being prepared. Most people think that decorations and the “minutia” of party planning is lost on children—but that couldn’t be farther from the truth! Kids are very perceptive, and the more you put into an event the more the kids will feel like they were a part of something special. Focusing on decorations is a great way to tie in your birthday party theme and wow kids as they walk in and out of the party. As you can see, there are a lot of factors that must be considered when planning a birthday party, or with any event for that matter. The details of event planning can make the process feel lengthy, stressful, and difficult. Having the help of trusted experts in event planning can greatly remove some of the burden off your shoulders and make your children’s birthday party even more spectacular than you imagined. 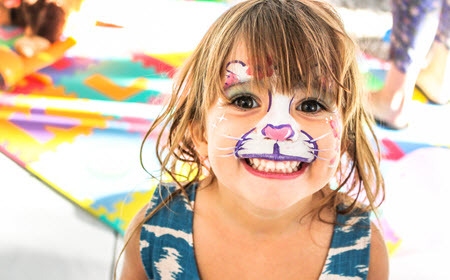 Here at Creative Event Services, we have helped plan children’s birthday parties all over the areas of Boston, Hartford, and New York with great success. Children are unique from adults in that their imaginations are expansive; that’s why planning a birthday party for them as adults can be challenging. If you’re trying to plan a birthday party for your kids and are having a rough time, please contact us to relieve some of the stress. Put our services to use—your kids will thank you!